Metal snare drums were all the rage back then, along with stupid sounding names for them. Instead of washers, the lugs are fitted with plates that run the full height of the shell. 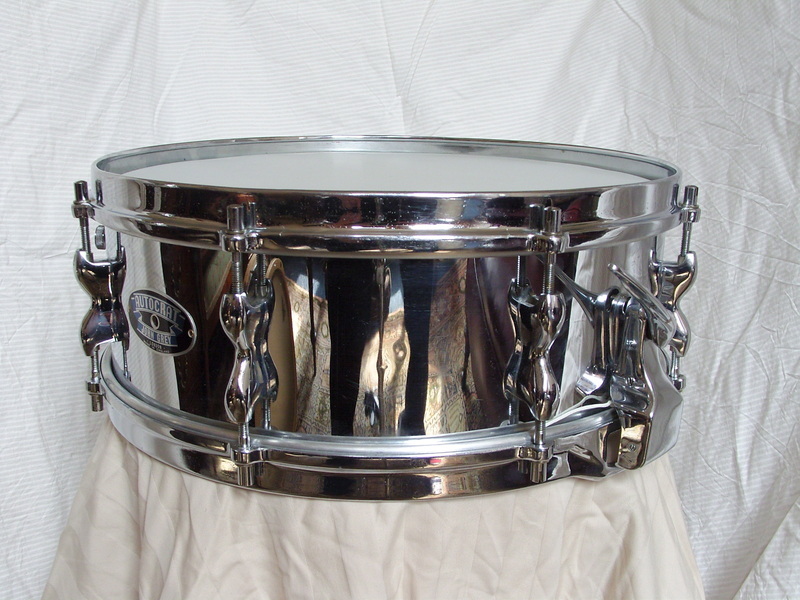 Hence Rose Morris metal snares are always beautifully true. This drum has the later, single fixing lugs very similar to Olympic but not the same. Some people say that Premier had the best chrome and indeed it was very good, but Autocrats are always, always better.